Relationships are rarely easy. They require some give and take, compromise, and communication. One point of contention between many couples revolves around organization within the home. If your partner has an aversion to clutter, being in a cluttered space can cause tension for him or her and add conflict to your relationship. It’s time to face the facts, if you’re prone to clutter, these are just a few ways it may be destroying your relationship. Never being able to relax is stressful. We all need a space where we can unwind and feel Zen. If your partner is constantly stressed by your clutter rather than finding the home relaxing, that ongoing stress is likely to overflow into every other part of your relationship. This might manifest itself through arguments about unrelated topics or lashing out at family members for no apparent reason. Let’s be real, if your partner is feeling stress you probably are too. That means that your clutter habits are not only affecting your spouse but are creating a stressful environment for you as well. With some changes in your organizational methods you could both feel a whole lot calmer. If you relate closely with this topic then you know what we’re talking about here. Clutter is probably a frequent topic of conversation. In fact, in one form or another, it is probably the primary point of discussion. 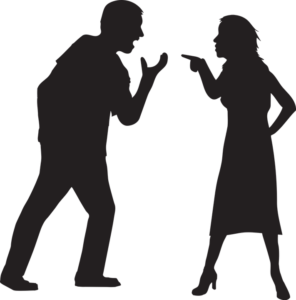 When those discussions move to arguments, frustration rises. At some point, the issue could become a breaking point for the relationship. But you can work towards solving this point of contention through conversation. Lower the defenses. Be willing to admit that maybe you have a clutter problem. Acknowledge you understand that it causes your partner stress. Work towards a plan together by making a list of what he or she would like you to change and discuss where you can each compromise on the issue. Maybe you’ll have to get into the habit of sorting your mail as you bring it in the door, but are not willing to hang your coat in the closet. In that case, maybe install a hook in a convenient location or see if the bedpost is an acceptable compromise. When your partner asks you to respect their wishes about clutter time and time again, they are letting you know that it is something important to them. For example, if they continuously remind you to put your shoes in the closet it means that every time they see your shoes it causes them discomfort, anxiety, or stress. When you fail to put your shoes in the closet, your mate may feel that you have no respect for them, their feelings, or their wishes. It’s important to acknowledge this stress in your partner, even though you may not completely understand why it effects him that way. After all, there are undoubtedly things that your partner does that drive you nuts and he can’t understand why, so put yourself in his shoes and hear him out on this one. Clutter carries weight. For many people, it’s overwhelming to walk into a cluttered room. The outcome is that your clutter leaves your partner feeling angry, frustrated, and exhausted by the mess and the battle. Similarly, the clutter affects you too. Evaluate how you feel in your space. Are you relaxed? Can you stay focused? Do you feel energized and productive or drained and unmotivated? Take a moment to visualize how you want to spend your day. Maybe playing board games with the kids after work or tackling a craft project? Perhaps you’d rather cook dinner for friends or go for a bike ride. You may not know it, but your goals are likely being stifled by your clutter. Piles of clutter surrounding you creates an atmosphere of demotivation and avoidance. After all, who wants to invite friends over when you can’t get to the dining table? Similarly, the lack of motivation might keep you from going for a bike ride with your family. In turn, your lack of participation leaves your family feeling disconnected and resentful. By implementing some new habits, you can keep your clutter from interfering with your goals! Clutter can be financially destructive. Disorganization results in things getting lost or buried. This means an added expense from having to repurchase items you already own. You may also engage in retail therapy as a means to avoid the arguing and clutter at home. The problem is that your spontaneous purchases result in unnecessary things, which accumulates more clutter. All of this culminates to worsen your financial situation. This cycle of overspending as therapy to temporarily relieve the stress caused by your clutter ends up resulting in more problems without offering a solution. By acknowledging the problem, you will be ready to work towards solutions that save you money and lesson the strain your valuable relationships. The fact is that people who share a commitment and a space are affected by the habits of their partner. 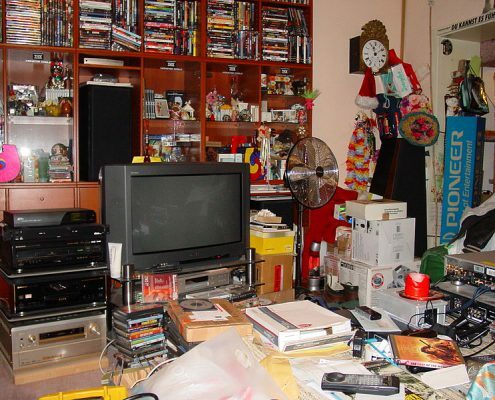 There are many reasons that you may struggle with clutter. It could be that you’ve never learned how to organize your belongings. Perhaps you’re just too busy. Maybe there are mental health issues. Wherever you are on the journey, calling in a professional can help. Queen B Organizing is here to get your clutter under control so that you can focus on the important people and events in your life.